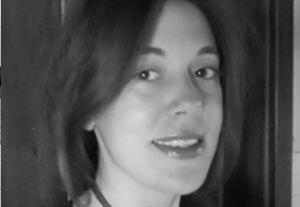 Tatiana has an MSc in Clinical Psychology from Instituto Superior de Psicologia Aplicada (ISPA) and is a full member of the Order of Portuguese Psychologists with the tittle of specialist in clinical psychology. She in the latest stages of Phenomenological-Existential Psychotherapy training at the Portuguese Society for Existential Psychotherapy (SPPE). Tatiana has completed a placement in clinical neuropsychology (ISPA) and has trained in the subjects of psychotherapy, psychoanalysis, psychosomatics, mental health and risk behaviour. She has worked in substance abuse, both outpatients and therapeutic communities, in educational settings, as well as having cooperated with Child Protection and Safeguarding Children Organizations. Tatiana has developed clinical work in private practice and in council estates in Lisbon and Cascais, as well as working in Community Psychology, Crisis intervention and in projects for the development of parental and social/relational skills. She has cooperated in a study regarding brief psychotherapy by ISPA, Jerónimo Usera Foundation and SPPE. Tatiana has recently attended Open Dialogue Training in Finland and Norway and is committed to develop humanistic mental health practices.